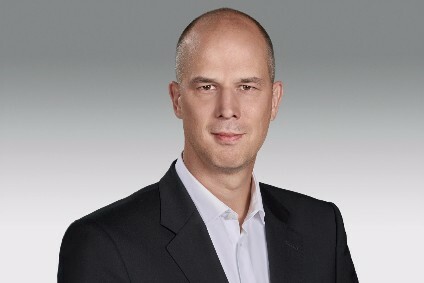 Continuing just-auto's series of interviews with global component suppliers, we spoke to Alexander Klotz, head of advanced development, systems and technology interior division, Continental. He explained some of the technologies that the supplier highlighted at the most recent CES, including augmented reality head-up displays (AR-HUDs), gesture control and connectivity technologies. Could you tell us about some of the technologies that Continental highlighted this year at the most recent CES and your main message? Continental is constantly adapting its products in line with the latest market trends focusing on safety systems, assisted and automated driving, clean power and holistic connectivity. As digitalisation is in our DNA, some of our systems are invisible: With a set of services from parking and eHorizon up to fleet management and diagnostics, we expand the portfolio beyond the vehicle towards mobility solutions. Continental has entered into a strategic partnership with DigiLens Inc., a leader in holographic projection technology for application in automotive and consumer electronics. The partnership has been formed to develop ultra-thin AR-HUDs that will further enhance a wider market penetration in cars of different segments. Music streaming, automatic emergency alert systems, or road data in real time – vehicles are, step-by-step, becoming part of the Internet of Everything. Up to now, constantly keeping this complex system of software and mechatronics up-to-date or loading new software functions has nearly always involved a trip to the auto repair shop. In response, we are presenting a complete end-to-end solution including the back-end for the management of over-the-air updates that enables fast, reliable and secure updates for the entire vehicle electronics system – from the transmission control unit to the infotainment system. Together with our partner Inmarsat, a satellite network company, we can now offer over-the-air updates even in areas without mobile network coverage and all around the globe via one single network. With biometric elements, Continental offers enhanced security and real personalization: The driver has to confirm his identity via a fingerprint sensor to start the engine and the face recognitions via an interior camera automatically personalises several settings such as the seat and mirror position. Applications that used to be integrated into the head unit have now moved over to the cloud, making the infotainment system intelligent and flexible. The HTML5 based terminal enables platform-independent development of applications and optimises the standard radio by adding extra cloud services and artificial intelligence systems. 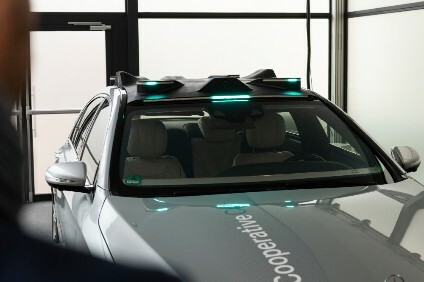 The terminal also acts as a digital assistant, analysing the driver´s habits and automatically setting the infotainment as well as the navigation system and potentially also further elements in the cockpit, such as seats or mirrors. The eHorizon system for two-wheelers interconnects riders, offers a shared platform to motorcyclist communities, and allows motorcyclists to share important route information, such as oil or water on the road. We integrated our Intelligent Glass Control in the vehicle´s electronic communication system. The glass now dynamically adjusts itself to different traffic situations. In addition, the window tinting can be adjusted as the driver carrying the key approaches the car by linking the Intelligent Glass Control with the keyless entry and start system PASE. To enable future drivers to enjoy digital content without having to stare at an old-fashioned flat media display, Continental has developed a 3D display surface featuring optically bonded, topographical elements that restore a sense of quality and design individuality to the classic display. The 3D Flash LIDAR expands Continental´s portfolio of surroundings sensors for advanced driver assistance systems to support highly and fully automated driving in combination with other sensors. Series production is scheduled to start in 2020. The sensor captures and processes real-time 3D machine vision and does not contain any mechanical components. With the 3D Flash LiDAR we can construct a complete 3D model of the vehicle surroundings nearby or over 200 metres away and as close as a few centimetres in just 1.32 microseconds and 30 times per second. The distance to individual objects is also accurately measured. The low complexity and high industrial feasibility mean that we can efficiently instal multiple sensors all around the vehicle, thereby enabling us to generate complete, real-time, 360 degrees images of the vehicle surroundings. The Assisted & Automated Driving Control Unit is used for evaluating and interpreting acquired data (e.g. from surrounding sensors) and ultimately constructing a comprehensive environment model. It is a central control unit comprising a network of multiple heterogeneous processing units. The control unit also plays a key role in interconnecting electronic chassis and safety systems. This increases the functional scope by interconnecting systems that used to operate in isolation. Since intervention decisions are centrally coordinated, simultaneous interventions in different systems harmonise perfectly with each other. For us, the control unit is a central element for implementing the required functional safety architecture and, at the same time, a host for the central environment descriptions and driving functions needed for automated driving. The Software-as-a-Service platform Remote Vehicle Data (RVD) can already readout standardised data from millions of vehicles which are not connected yet. The data enables OEMs to develop new services and business models for their entire fleet. Continental´s latest acquisition Zonar presents the new ZonarConnect system which is a permanently networked, next-generation tablet that gives operators of commercial vehicle fleets greater control over their business processes. What is your vision of the connected car? At Continental, the focus is on creating safe, clean and comfortable mobility. Connected vehicles are involved in fewer accidents, consume less energy, are rarely stuck in traffic jams and connect drivers and passengers with their digital life. To achieve this, vehicles are already becoming part of the Internet of Everything. As a consequence, the software in modern vehicles has grown to millions of lines of ever-evolving code. Keeping this highly complex system up-to-date has involved a trip to the auto repair shop up to now. This is why we are offering over-the-air updates for multiple vehicle electronics together with the satellite network company Inmarsat, enabling vehicles not only to be always on and up-to-date but also to instal new features and functions on the go. For us, these kinds of holistic vehicle updates really mark the final step for vehicles to become part of the Internet of Everything. We are hearing more the opportunities for switchable glazing in autonomous vehicles. Could you explain your Intelligent Glass Control? What will it enable vehicles to do and by when? The Intelligent Glass Control enables targeted shading of nearly all car windows at the touch of a button using special films which are inserted into the glass and which change their transparency through electric control signals. Thanks to the integration of the Intelligent Glass in the vehicle´s electronic communication system, the glass can also dynamically adjust itself to different traffic situations. For example, because the system is connected to light sensors, the glass can be tinted at exactly the point where the sun is shining on. Continental´s keyless entry and start system PASE (Passive Start and Entry) is also linked to the Intelligent Glass Control, which means that the window tinting can be adjusted as the driver carrying the key approaches the car. As part of a wave of affordable smart windscreen technology, the Next Big Thing is said to be AR-HUDs designed for a more comfortable and safer driving experience. Could you tell us what makes your AR-HUD different from the rest? Augmented Reality Head-up Displays help to make driving more comfortable and safe by supplementing the exterior view of the traffic conditions in front of the vehicle with virtual information (augmentations) for the driver. The reflected information appears to be part of the driving situation itself. In order to accelerate and boost the adoption of Augmented Reality in the automotive industry, we have just announced our strategic partnership with DigiLens, a Silicon Valley based company and a proven leader in holographic projection technology for Augmented and Virtual Reality. Together we develop an ultra-thin holographic HUD which will be smaller by a factor of three in comparison to currently available systems. This is why it will need less space in the cockpit while at the same time providing a larger image with all the relevant information. Presumably using eyes, voice and hand gestures, it is possible to eliminate buttons from an infotainment system. What is your vision of this touch-free user experience? Previous touch-based control systems meant that drivers had to take their hands off the steering wheel and their eyes off the road – driver distraction is a problem that must be taken seriously. This is why we see the further development of the holistic human-machine interface as an important step on the road to automated driving. The objective is to introduce an intuitive dialog between driver and vehicle that doesn´t even need words. As all car drivers are different, multimodality in display and operation is a central component of the holistic human-machine interface. We are therefore developing displays and touchscreens with haptic feedback, gesture control, interior cameras, voice control, HUD, instruments and much more. One of our latest developments is the gesture-based control system which is integrated into the steering wheel: the concept replaces buttons and touch-sensitive surfaces on the steering wheel with two transparent plastic panels that can be operated with the thumbs. These hand gestures in a clearly defined area on the steering wheel can significantly minimise driver distraction and increase safety. What features will the car cockpit of 2030 have? In the course of the next years, we expect various trends to impact the customisation of vehicles. This means that, from our point of view, in 2030 there will not be the one typical cockpit. Quite the contrary: how the vehicle interior will look like, depends on the type of mobility. In cars that still have a driver, the focus will be on a holistic human-machine interface, which takes on an important trust-building role to pave the road for automated driving. In automated driving scenarios, on the other hand, the car will become a new living space for the passengers and the priorities for cockpit design will shift. In this scenario, the return of the driver´s concentration and awareness of mode and situation are of crucial importance for the design of cockpits for automated driving. Additionally, with an ever increasing trend towards the shared economy, we also place a greater focus on car and ride sharing and the related issues of personalization and the integration of personal smart devices. What does the trend for increased digital content mean for information displays? Due to the growing demand for functions and digital content, in-vehicle display surfaces are getting bigger all the time. Fully digital instrument clusters could provide a solution for flexibly displaying digital content, but offer less design flexibility. Continental´s solution is a 3D digital display surface featuring optically bonded, topographical elements that restore a sense of quality and design individuality to the classic display. Future drivers can experience digital content without having to stare at an old-fashioned flat media display. Another example of future information displays is our digital Dual Display offering drivers of the new Mercedes-Benz E-Class real added value: it makes information and other content intuitively perceptible, as the implemented display options are easier to understand than conventional alternatives. Incidentally, the Dual Display refines the vehicle interior, comprising two high-resolution screens in one widescreen design. Head-up Displays and Augmented Reality Head-up Displays complete the list of solutions for digital content in the cockpit: a HUD shows information exactly where the driver needs it – directly in the line of sight and without looking down to the instrument cluster or secondary display. In the case of an AR-HUD the information of the HUD is enriched with a layer of information right on the street in front of the car. The HUD solutions are key technologies for our holistic approach to the human-machine interface. Organic LED (OLED) screen technology has been available for some time yet its application in cars is limited. Do you see anything that could alter this? OLEDs screen technology is particularly relevant for special designs in the premium segment, such as curved display solutions with a good contrast. Apart from that, LCD provides similar quality for a lower price and is, therefore, more important for the mass market. Continental has expanded its logistics centre in Gross-Rohrheim south of Frankfurt, supplying dealers across the world with spare parts. 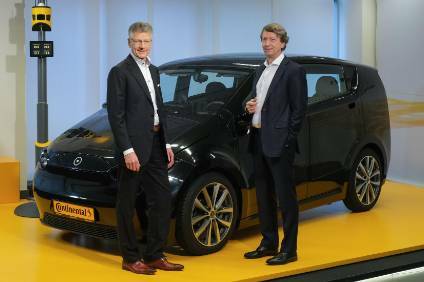 Continental is providing a keyless technology system, QuickStart, for Hiyacar, the peer to peer car sharing platform ('Airbnb for cars'). Continental has appointed Gilles Mabire as new head of Commercial Vehicles and Aftermarket Business Unit (CVAM) from 1 April. Continental has acquired Kathrein Automotive for an undisclosed price after antitrust authorities cleared the transaction.